Let me start with giving thanks for this wonderful project! Ok, so there is my wish: I would like to be able to manipulate a pattern by slashing it and spreading/moving the parts. I think a lot of people agree because you need that method when you want to add fullness to a sleeve, draw a flare skirt, make adjustments for a full or a flat bust, a protruding stomach, asymmetrical hips etc. Hi @Barbara! The Rotate tool can implement the slash and spread technique. Have you seen this video? 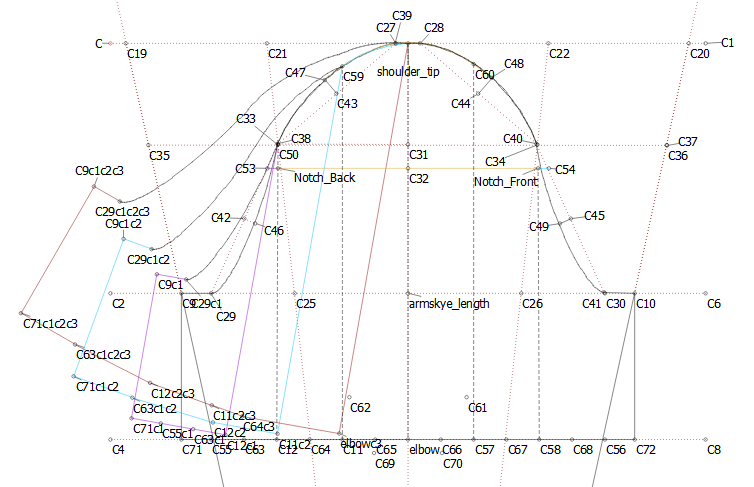 This example shows the slash and spread method to rotate upper corner of the bodice, using the Rotate tool. Thank you! I’m completely new to Valentina so maybe I’ve installed the wrong version. There is no operations button in 0.4.5.0. What do I need to do? Yep, you need to install the test version to work with the latest tools. The test version is v0.5.0 Valentina-project.org Which do you have: Mac, Windows, Linux? And which version? Success after figuring out that you need to push ctrl for multiple selection. THANX! The Rotate tool can implement the slash and spread technique. Have you seen this video? 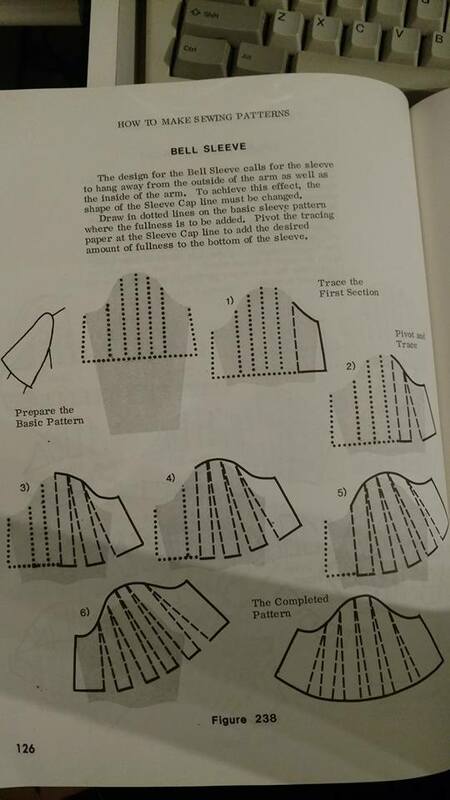 This example shows the slash and spread method to rotate upper corner of the bodice, using the Rotate tool. Hi @kmf, Now you have me doing it It’s really haaaarrrrrddddd. I did the 1st half so you could see the other half. I added a whole lot of points that weren’t necessary. 1st I divided up into the required segments to be rotated and then, working from the outer edge to the centre, rotated each section by -10 degrees selecting the sections to be moved. @grace could you write up the names of the points you used in the first rotation? I am sure I can figure it out from there. I have been gone on a cruise so not thought about this in 2 weeks, but I was having difficulty selecting anything other than a single line or single point and seeing how the automatically generated extra point can be used to draw the rotated section. (I am assuming that the example here is a progression of -10 degree rotations). the use of different color lines is also helpful. The Cape Sleeve, I did in the same manner, just with more slashes and more degrees between the sections. In my option, it wasn’t very successful but that is perhaps because I have no use for it at this point. I just wanted to see how it works. It uses the same measurement file above. Oh, I also made a mistake in it. There is a solid section from ShoulderTip to Elbow. I made a slash there. Would you write a page for Wiki? Will you make a title for the page & let me have the link? You did good job. But i think we should not repeat themselves, i am speaking about the tool section. 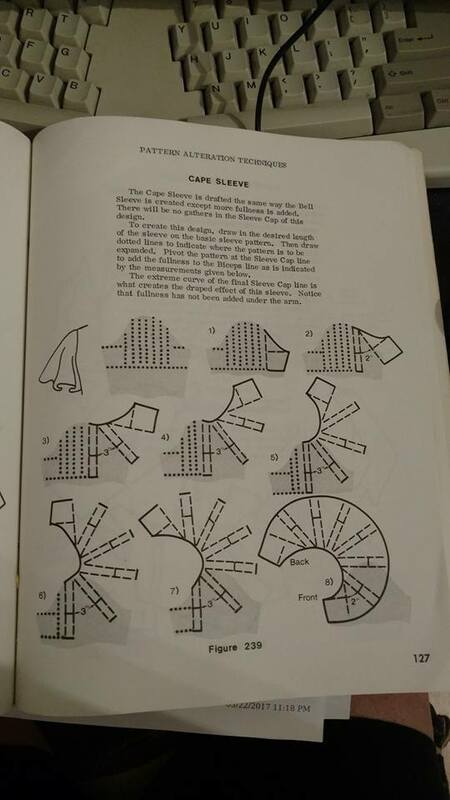 Hi @Grace Would you make a new thread in the ‘Patterns’ category for the Bell Sleeve pattern, and another thread for the Cape Sleeve pattern? Sorry to make you copy/paste to a new thread, but it would help forum readers to find these patterns. Right now they’re buried in this general topic thread. Please check these links and see if that is what you wanted. Yes, the Bell Sleeve pdf is the only one that I made and the technique that I used is the same, only the degrees are more in the Cape Sleeve. I gave my learning files and measurement files so that anyone interested can open them & see for themselves. Please tell me if I’ve made a mistake and where so I can fix it, because I don’t see where.